Finally Google's famous web browser is out of the beta stage and I can’t resist my self about writing this as this is my favorite browser these days.Today Google announced first stable release of Google chrome for Mac and Linux users. Brian Rakowski, a manager in Google's Chrome division, said the company had been "chipping away" at bugs and building in new features to ensure parity between the three different versions of the browser.Rakowski said the browsers were Google's "fastest yet". "They incorporate one of most significant speed improvements to date," he wrote. Bookmark synchronization across multiple computers. Themes, homepage and startup settings, web content settings, preferred languages, and even page zoom settings synchronization across multiple machines/computers. HTML5 features such as Geolocation APIs, App Cache, web sockets, and file drag-and-drop functionality. User can enable each extension to work in incognito mode through the extensions manager. 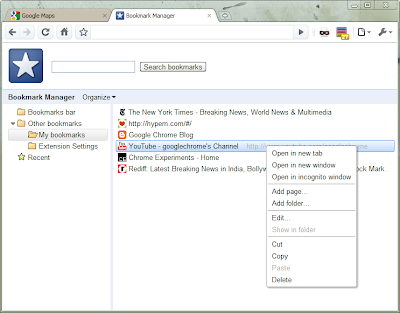 Updated Bookmark manager with HTML 5 support. According to StatCounter, Chrome currently enjoys an 8.5 per cent share of the global browser market, behind Firefox, with around 32 per cent, and internet Explorer, which has a 53 per cent share. Google is keen to close the gap between Chrome and its nearest rivals. 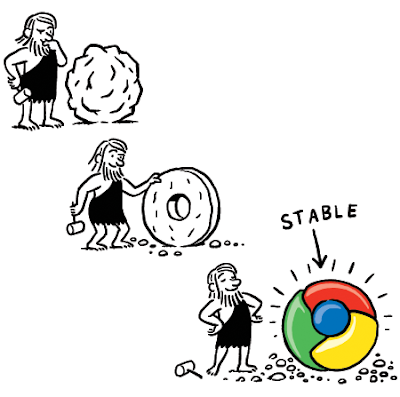 The stable version of Google Chrome can be downloaded from the Google website. If you later decide that you’d like to return to the beta channel to experience new, experimental features and improvements, you can always find the link back to the beta channel on google.com/chrome. Did I miss any thing important regarding this stable version of Google Chrome ? Please update me via comments ,I will add it.